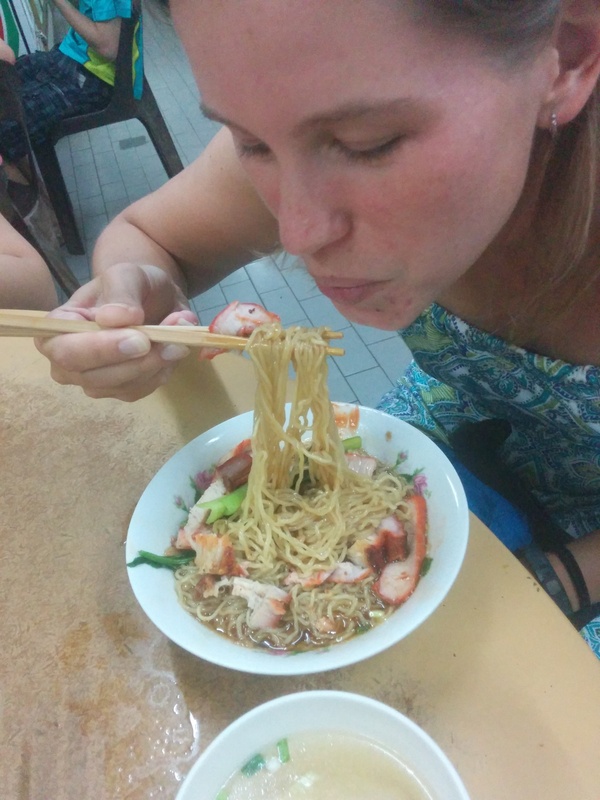 Our last stop in Malaysia was Malacca, so we could see something outside of the big city. We had delicious food for next to nothing, and learned some history. The port at Malacca was so important to early trade that it was considered the capital of the world. It lead to some of the first maritime laws, harbor masters, and usages of multiple currencies. The strait of Malacca, now often called the strait of Malaysia, still sees 120,000 ships pass by. No ships really doc with Malacca anymore as Penang and Singapore have long since surpassed this old port town. Now the river leading to the ocean has tour boats and is surrounded by lovely restaurants for tourists, both local and foreign alike. 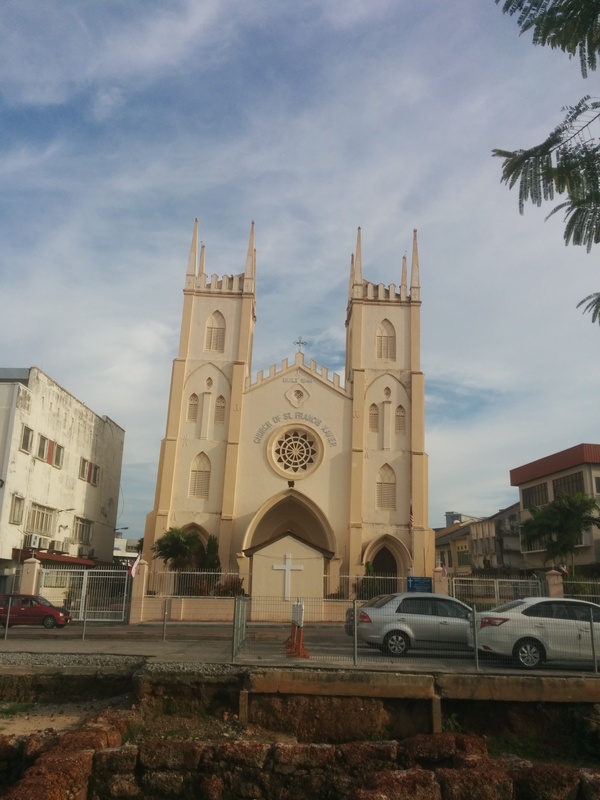 The Malacca church needs to be straightened out a bit (picture doesn’t show it too well, but it is like the leaning tower of Pisa). The once famous river that had the largest market in the world, now home of cute cafes, and good Indian food. 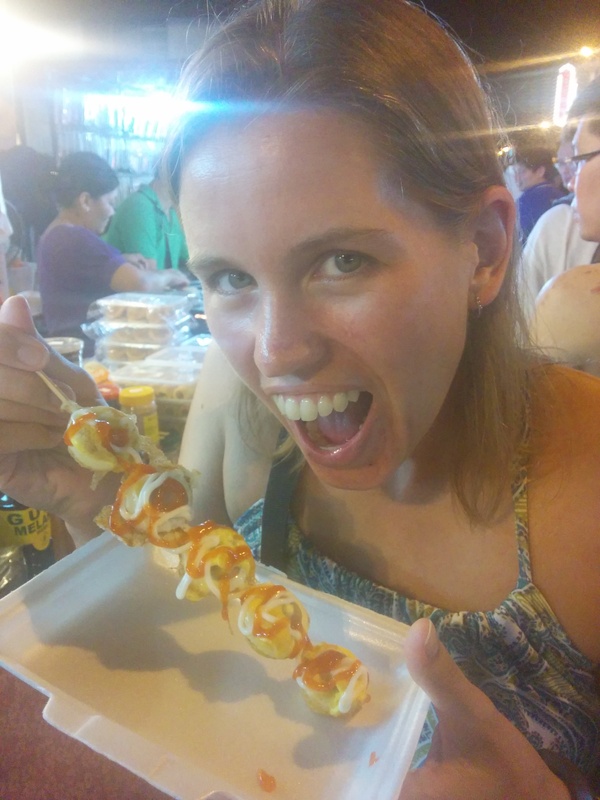 Erin tries a mystery egg and sausage stick, got to eat something odd at the night market. The melting honey pastries were the best. Food is very popular here both locals and tourists line up for hours at the favorite spots. Both the famous chicken rice balls and city satay had over hour long waits… Sadly neither of those was worth the wait, but the red pork noodles mentioned above was easily worth the wait. Duck noodles below had no wait at all and were pretty outstanding as well.